(Seychelles News Agency) - The Seychelles’ diverse birdlife has been captured in a book written by a young Italian, after the author visited the island nation last year, a trip made possible through the help of the Seychelles Tourism Board (STB). 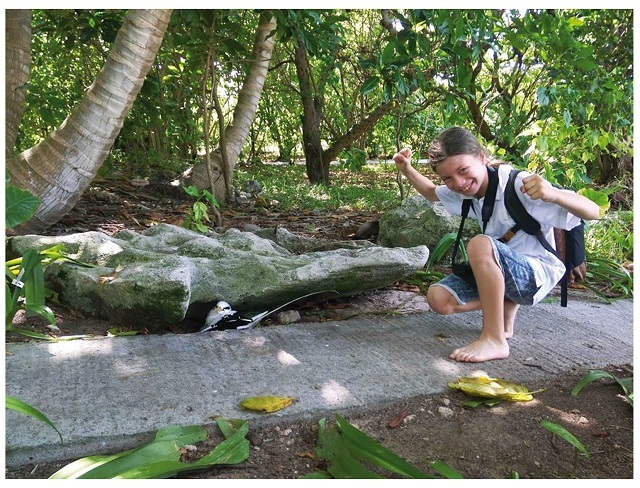 Titled “Seychelles Travel Book – A Young Ornithologist’s Travel Journal” -- the book is the third published work of Francesco Barberini, an aspiring ornithologist aged 11. An ornithologist is a person that studies or is an expert on birds. 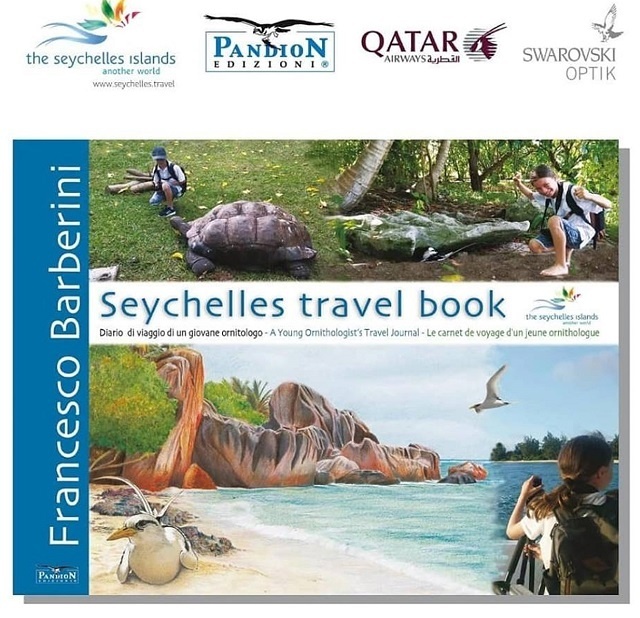 The book which came out in December is the first of a series dubbed “Francesco birdwatching travel.” It covers the splendid nature of the Seychelles, in particular, the birdlife, which distinguishes these 115 tropical islands of the western Indian Ocean. With 128 pages in colour, richly illustrated with maps, photographs and original drawings, the book can be purchased online at Pandion Edizioni for $23. At the request of the author, part of the book’s profits will be donated to the birdlife conservation projects on Denis and Cousine Islands in the Seychelles. The book includes dedications from three renowned authorities, Sherin Francis, the Seychelles Tourism Board’s chief executive, Fulco Pratesi, the honorary President of World Wildlife Fund Italy, and Fulvio Capria, the President of LIPU (Italian Society for the Protection of Birds). Francis said that the board is happy to be part of this original idea of a book inspired by visits to some of Seychelles’ islands. “His status as an ambassador of the WWF will certainly help to revive the image of the Seychelles as a paradise for ornithologists. Initiatives like this by Barberini, considering his young age, are exactly what we hope to see in the new generations: that they are interested in our wounded planet and its ecosystems and endeavour to preserve them,” said Francis.